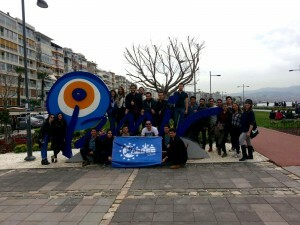 Around the beginning of the new year, AEGEE-Izmir organised a postcrossing project with their twin antennae AEGEE-Moskva. Even though at the time there was political tension between the two countries, the project turned out to be a huge success, involving members of both locals in a cultural exchange. As a reward, they were chosen as the ACTive Local of the Month. We spoke to Julide Acıkara, Secretary General of the Turkish local, to find out more! 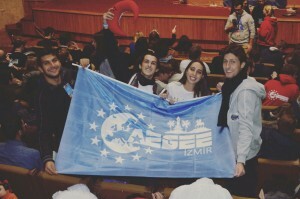 Julide: AEGEE-Izmir was founded in 1997. We have established a consistently growing association, about which we couldn’t be more happy! The last term, we had around 100 new members, which is a big growth compared to years before. We organise weekly meetings and we have working groups where topics likes Civic Education are discussed. Besides that, we also have two different conversation clubs (English and German) and a lot of other projects. In the past, we organised an Agora in 2005, a European Boards Meeting (EBM, now EPM) in 2012 and the Summer University Project School (SUPS) in 2014. Our Agora received the best Agora award! 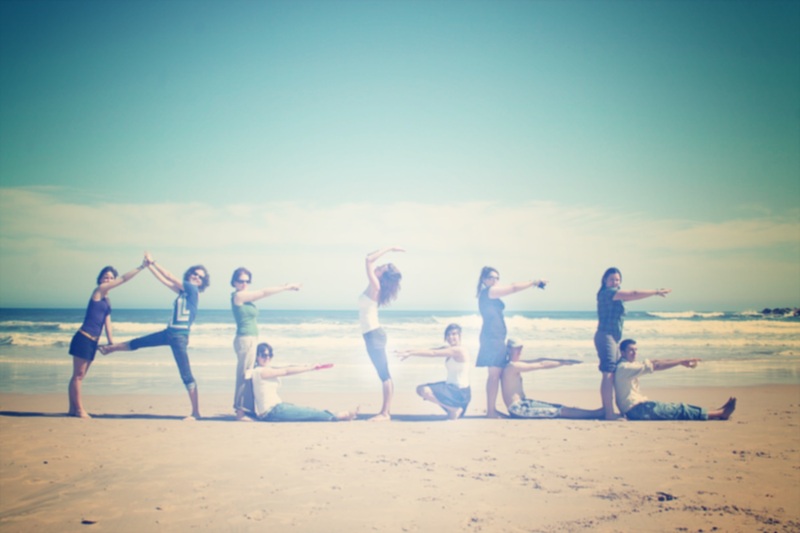 We believe that going abroad and being active should be amongst all of the young peoples’ goals. How would you describe your local to others? Our local is a local which is full of energy, speaks from the heart and is open to change. We are not perfect, but we do our best anyway. Our events are a mix of both hot and cold; they are complete opposites, but they are actually very similar and inseparable at the same time! 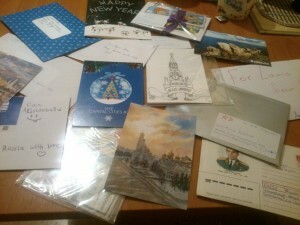 You have organised a postcrossing project between Russia and Turkey. Can you tell us more about your project? As some of you may already know, AEGEE-Moskva is our twin local. Because of that, we are in contact with them on a regular basis. With the new year upcoming, we thought it would be the perfect time to give our members the chance to get together. The postcards were amazing by the way! Even though there may be political conflicts right now between Turkey and Russia, this does not mean that our hearts are not one. Isn’t writing to one another the best and easiest way to really connect? In a time where everything is done online and through text messaging, it is nice to prepare a project where we can go back to the old times and reflect on our traditional ways, by having something we can hold on to. Do you plan to continue with your project? The concept of postcrossing on its own is a wonderful project, but the aim of this project is to have members of two different locals come together and get to know one another. The project may seem small and simple at the moment, but wait and see what it will become in the near-future. The plans and set paths in the Action Agenda allow for the locals and its members to create new and different visions in their minds. This year, we want to focus more on the Action Agenda and improve ourselves along with our members. We believe that locals who do so will benefit greatly, both for itself and its members. Yes, at the end of April, we will be organising an exchange program with AEGEE-Moskva. We will host their members in Izmir, and our members will travel to Moskva in autumn. Besides that, we are preparing for our Summer University, as we do every year. We have a fantastic crew, so be ready for change! 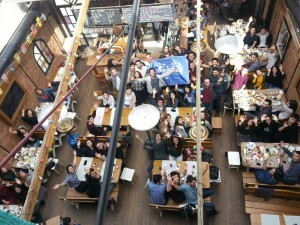 AEGEE-Izmir has certainly shown to the Network that it can be an example to other locals. What would you say to other locals that want to be as awesome as you? All locals are unique in their own way; they all have a different atmosphere! One of the most important things is to try our best and take opportunities. The rest will follow.